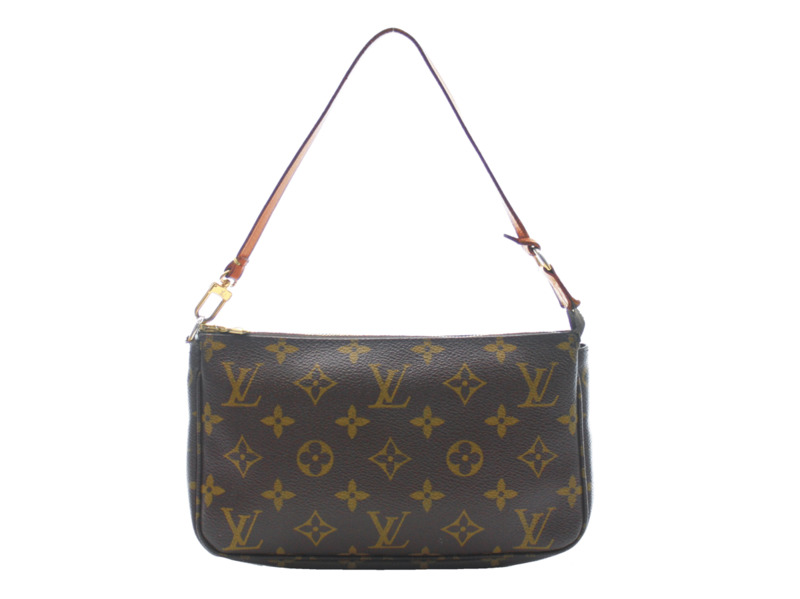 Louis Vuitton Pochette, Monogram Signature Canvas, Signature Gold Hardware, Removable Patina Strap, Zipper Closure, Textile Lining, Reinforced Base so it stands Like a Bag. 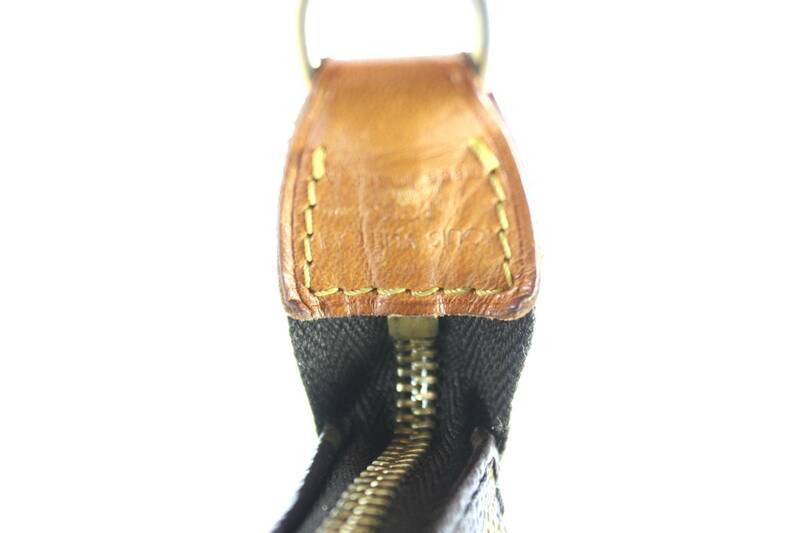 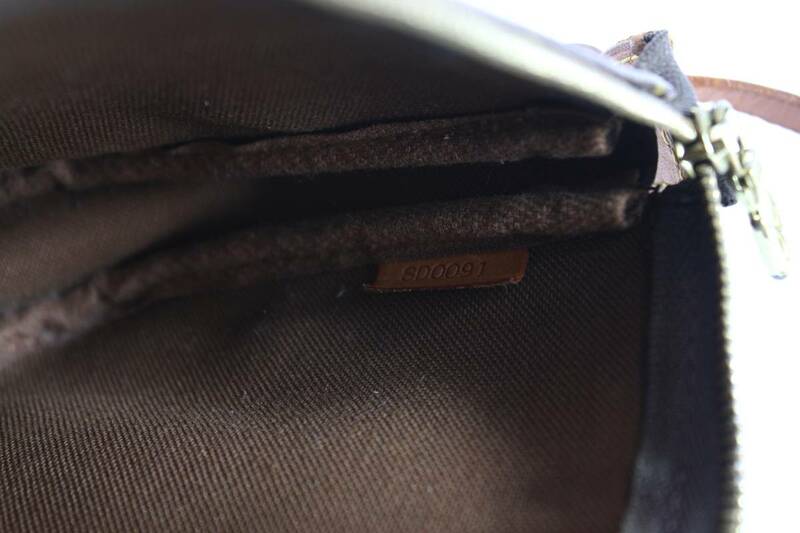 Authenticity Tag inside lining. 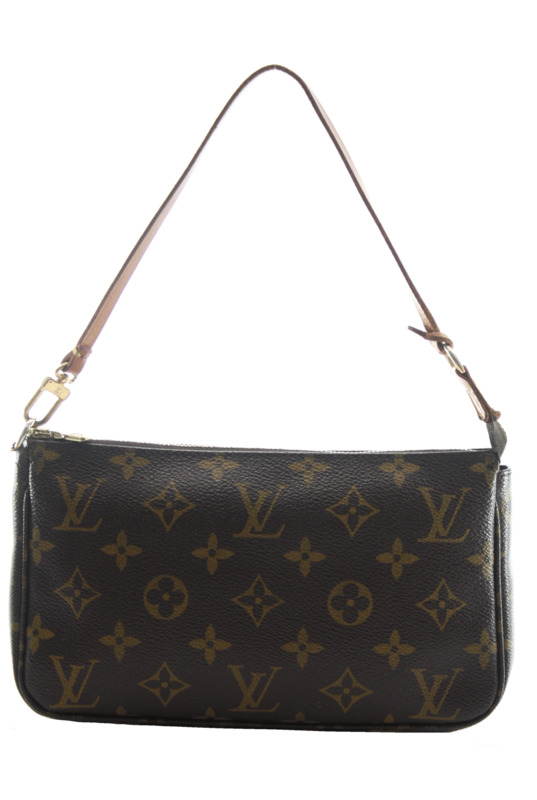 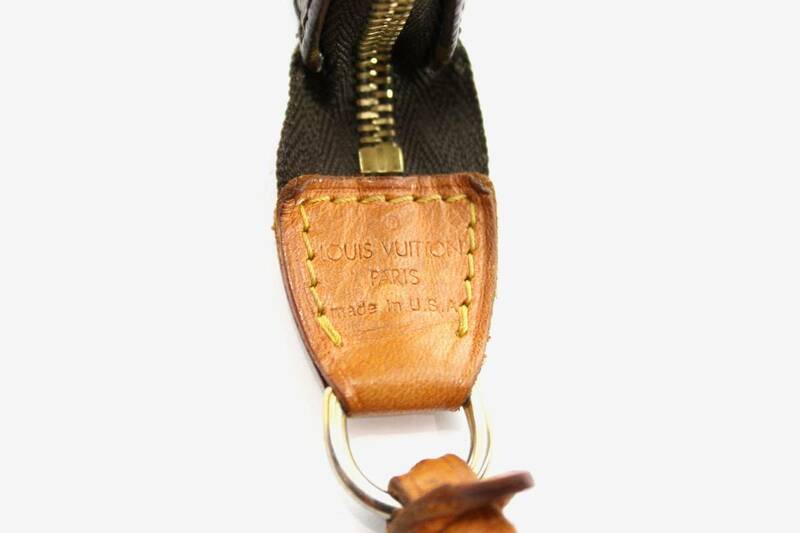 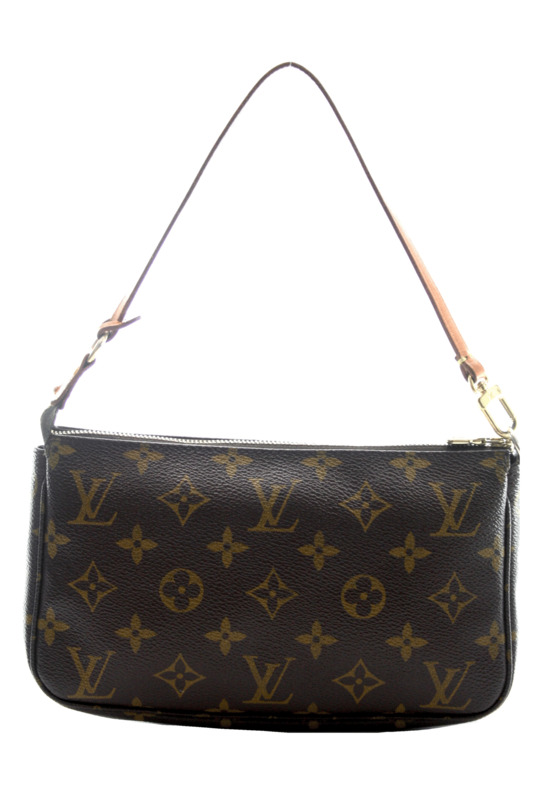 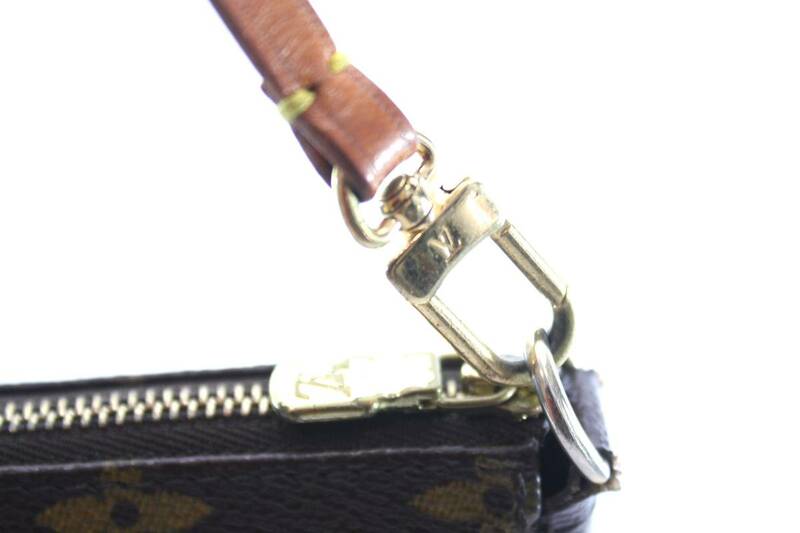 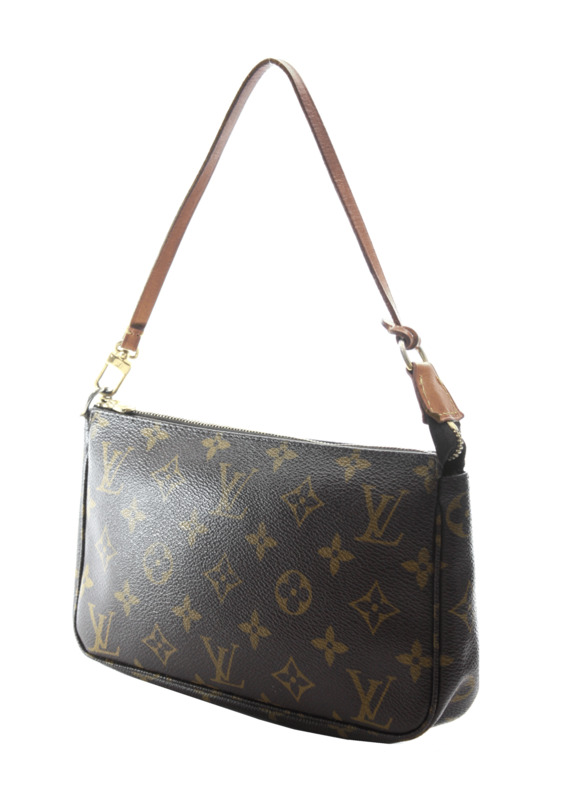 Buy Louis Vuitton Handbags/Pochettes at The StealVault.